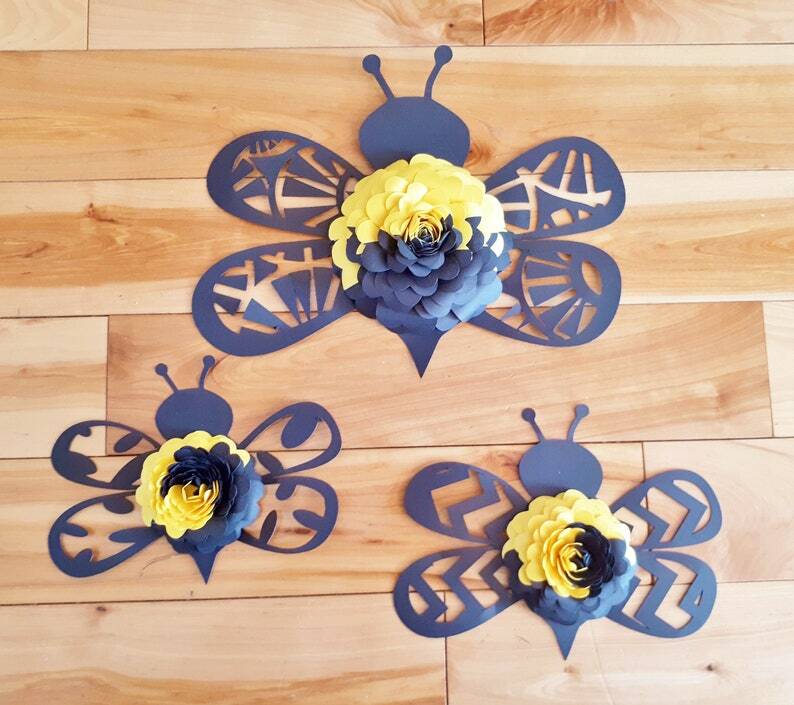 Our Bumble Bee Paper Flower Decor are handmade and cut from premium cardstock paper. They go beautiful as decor for a baby or bridal shower, as home decor in your living or bedroom, as birthday party decorations, for a garden themed wedding, or in your baby nursery as wall decor. Each bumble bee is made with a rose at it's centre and has a different pattern for it's wings. Like something unique?? We'd be happy to design these bumble bees in the 2 colours of your choice. Just message us with your colours!